Siri for Mac is on its way and it will be available on OS X 10.12. It will be definitely the best OS X 10.12 feature. A couple of features which are not official by Apple are already available via third party sources. Like the iOS 9.3 Night Shift mode was famous application known as F.lux which works only after your jailbreak your device. That gives us a hint that Apple are considering value added features officially coming to device. Everyone knows that Siri is a voice assistant feature just like Google Now for Android and Cortana for Windows Mobile as well as Windows 10 OS. Siri is available for all compatible models of iPhone, iPad, Apple Watch, Apple TV and iPod but for Mac misses it out. MacWorld has already mentioned a trick on how to get Siri for Mac but that’s not official. So when I will be able to says ‘Hey Siri’ on Mac? Looks like Siri for Mac is on its way and Apple Developers are considering adding it to OSX 10.12 which is expected to be a major release. Sources claim that OS X 10.12 will be released officially this fall during the new iPhone announcement event. A beta version will be released in June 2016 at its Worldwide Developer Conference. 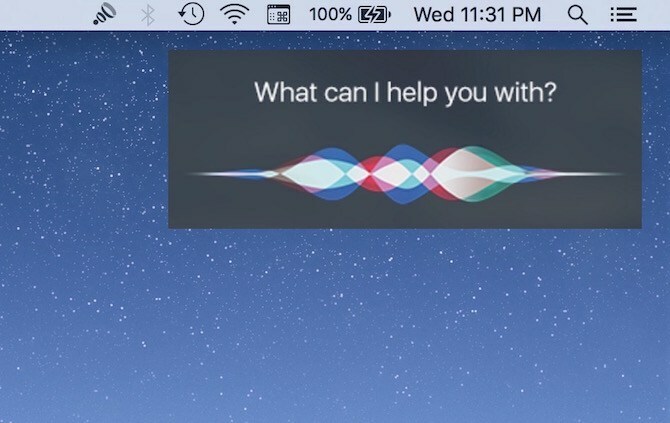 Siri on Mac might have same user interface like it has on iPhone or iPad and users will have to setup it up for the first time when they use it. The Siri icon will be in menu bar beside the Spotlight Search icon. The OS X 10.12 is believed to include lot many new feature and we will update you as soon as there is beta version released.